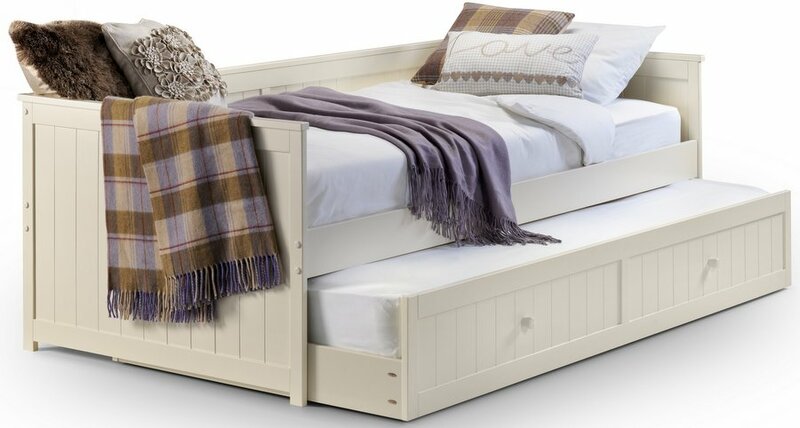 Romantic stone white daybed with "New England" style fluted panel detailing. 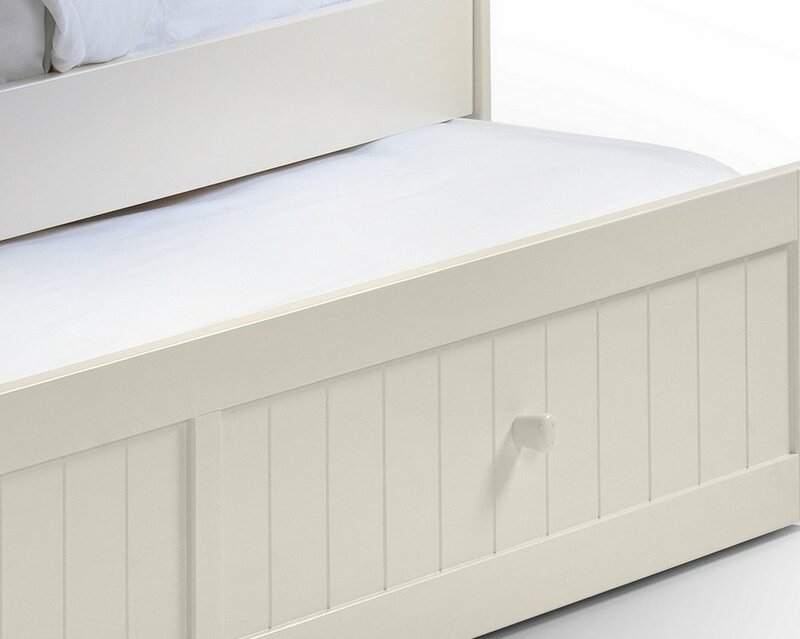 A stunning addition to any room, the under-bed pulls out to provide a spare bed when required. The Jessica daybed has a webbed slatted base. Constructed from solid pine with MDF. Two premier mattresses included. 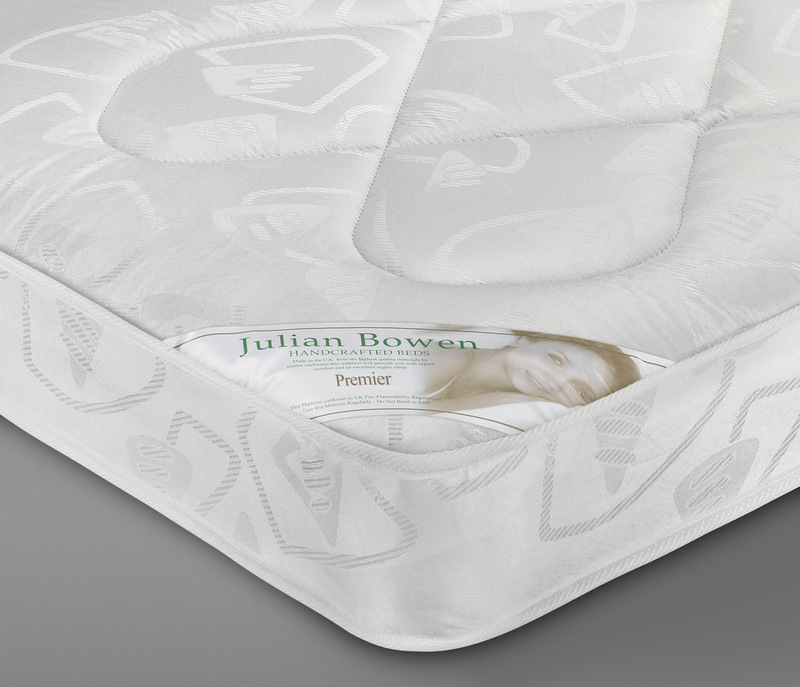 18cm deep coil sprung mattress with medium firmness. The cover is made from damask material. Care instructions: Turn mattress regularly - do not bend or fold. Ideal for use by children or for guest use. The dimensions of the mattresses are: H18 W91.5 L190 cm. The width of the top bed is 97.5 cm. 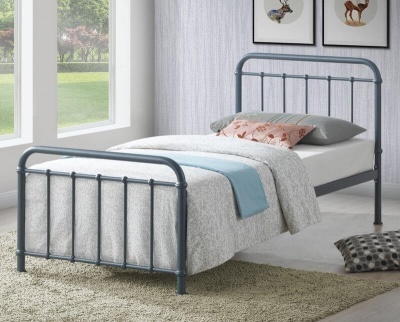 The width of the trundle is 95 cm. 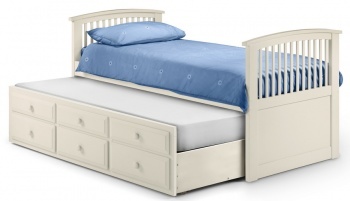 Therefore the total width when pulled out is 192.5 cm if the trundle bed is placed next to the main bed. Wooden daybed in a stone white lacquer finish which is an off white colour not brilliant white. The colour is similar to magnolia paint. Self assembly required full instructions included. Delivered in two boxes plus plastic wrapped mattresses.